I’ve been contemplating writing a new spec, this really means I’ve been watching every episode I can and occasionally writing ideas down. 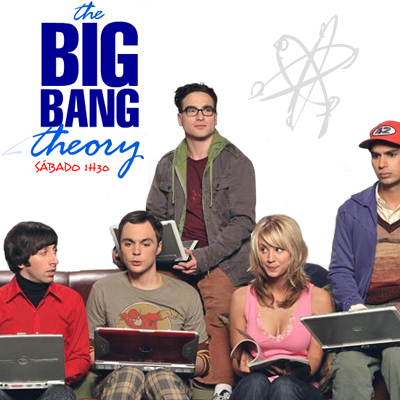 The new spec will be Big Bang Theory, it will be a challenge because I’ve never done this style before. I think that’s why I don’t dive right in. My sister highly recommended the show saying she had a lot of friends in college like the characters in the show. I noticed while watching an episode from season 2 yesterday that I actually know some people like this as well. In an ideal world where I could write whatever I pleased I would write an episode of Big Bang in which Penny (the waitress love interest) would actually have been hiding her genius the whole time just to get in bed with Sheldon (the extreme nerd too awkward to consider dating). Here’s the sweet midpoint; when Penny sleeps with Sheldon, she actually steals all of his work, claims it is hers, then is awarded a Professor job (we’ll call it that). After Sheldon finds this out, he of course will get angry with Penny who will then kill him. After that, the next scene will be the gang chilling in Leonard and Sheldon’s apartment eating Indian food like they always do. Not sure how a studio audience would react. I really do want something more for Penny’s character though, I find myself hating her but it’s because she’s such the typical female role.-guess I can change that.